For the first time since being named Federal Reserve Chairman, Jerome Powell appeared before the Senate Banking Committee on Tuesday. The appearance before the committee did seem to spark a small rally in stocks that afternoon, but his comments were much more important than the light reaction we saw. Mr. Powell was thanked by members of the committee for his time, but Senator Corker in particular thanked him for running the Fed in a more transparent manner. I have noticed that he seems to speak in a more direct manner than former Chair Yellen, and much clearer with his intentions than former Chair Bernanke did. I will also say that he showed far more patience than most people would have. There were several instances where he was asked a question and before he could even speak ten words of his response, they were interrupting to ask another question. Both Republicans and Democrats do this and both seem to take on an adversarial tone at times when the Fed Chair makes these appearances. Senator Warren in particular annoyed me yesterday as she wouldn’t let him give a complete answer to any question, but he was composed and respectful and continued giving answers. As for takeaways from the testimony, one of the questions Senator Warren posed was with regard to lowering the reserve requirements of banks and lowering the requirements of the stress test. Senator Warren was under the impression that Chairman Powell favored these moves, but in his response he stated that he wasn’t looking at changing either of those policies. 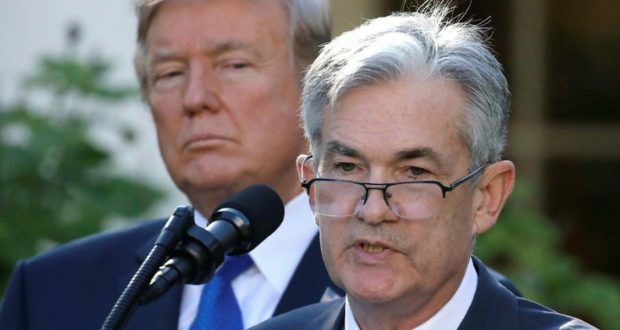 One area that Mr. Powell seemed to deviate from the Trump Administration on was the ongoing trade tensions. The chairman said he thought countries that are open to trade have grown more quickly and commented on the new tax law, saying it was too early to see its impact. He added that, “higher tariffs for a long time would be bad for the U.S. economy.” He also stated that China has a less open trading system than we would like. All in all Chairman Powell seemed composed and handled himself well, while some of the members of Congress took on confrontational tones. From what I saw he seems to be maintaining the political neutrality we should expect from the Fed Chairman and he seemed very straight forward with his answers. When asked, he was clear with the goals of the Fed and that transparency is welcomed. I wrote an article back in October about the top candidates for the chairman position and at that time, Jerome Powell was my top choice and now that he is in the position I am glad he was selected. His demeanor, composure and clear communications are what we need from a person in such an important position. I had little information about Chairman Powell to decide if he would be a good Fed Chair. So I rely on commentators like yourself to inform me. Since I trust your assessment, I say: If Chair Powell is good for you, he’s good with me. I read articles from many sites. Among the themes and alarming trends are ones like world debt Armageddon, the demographic bomb and economic inequality. Then I read a columnist, (Tamny, I believe) who dispels these, what he calls, myths. If you haven’t already written about these topics, may you humbly consider my request for your take on these issues.